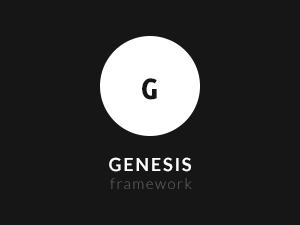 Recently we have switched over to using the Genesis Framework. Why? Well, it’s all to do with being responsive, having good security, great speed, search engine optimisation friendly and a bunch of other things as stated on the Genesis site. Having tried a few frameworks out, in our opinion Genesis is the top one out there. It is based on the principle that the theme only contains the essentials, so if you change the theme your site won’t break. If you want extra features such as sliders, social media or anything else you install a plugin, rather than have them all bundled up in the theme. This means that Genesis child themes are much leaner and faster than others.